The pilot who died in a plane crash east of Grande Prairie last year had purchased the aircraft earlier in the day. 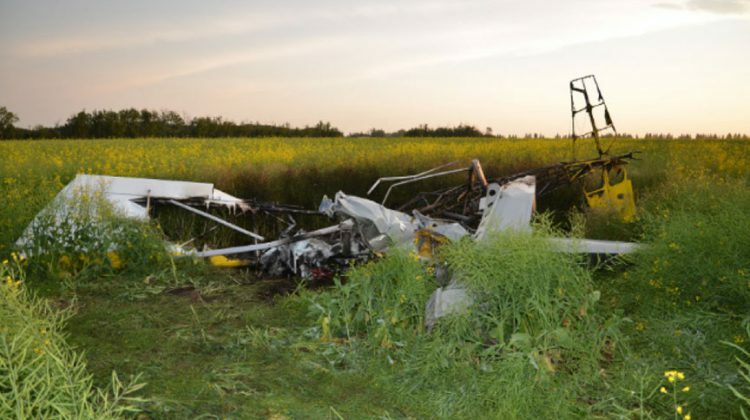 43-year-old Jason Peterson was killed when the basic ultralight plane went down in a field on July 31, 2018. The Transportation Safety Board has released its report into crash, showing Peterson had come to Grande Prairie the day before and spent two hours in flight with the plane’s previous owner. He had been able to fly the plane from its rear seat but wasn’t in command. He and the owner made some changes to the plane the next day and went on another flight together without issues. Peterson had a valid ultralight pilot permit issued that April, but the TSB says it wasn’t able to figure out how much he had studied, trained, or prepared to fly the new plane. He took off from a privately owned grass airfield east of Grande Prairie on his way to Saskatoon International Airport. The TSB says that about a nautical mile into the trip, the plane was seen somewhere between 300 and 500 feet in the air. Moments later, its left wing dropped and the plane went into a nosedive. It crashed and was destroyed in an intense fire. The pilot was fatally injured. The federal report is considered to be a limited-scope, fact gathering investigation in order to become more aware of potential safety issues. The TSB does not assign fault or liability, but notes that weather wasn’t considered a factor in the crash. 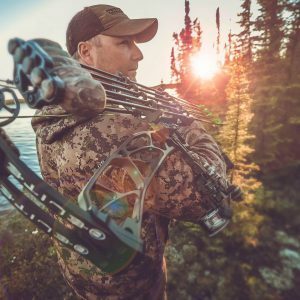 Peterson was a father of two and is remembered as an avid outdoorsman and outfitter who produced and hosted his own hunting show called Into the Wild. Following news of his death, tributes and condolences flooded online forums.